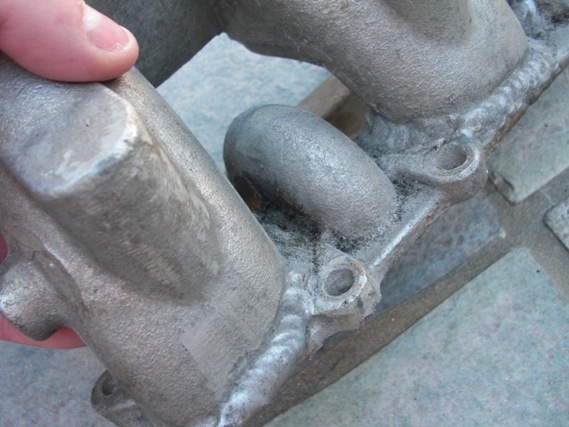 The inlet manifold on my S1 Esprit had been welded around two of the intake tubes. I don’t know why it was welded (no signs of over porting or machining inside), but it wasn’t a clean repair so I decided to hunt down another one. The new inlet manifold I found on eBay was configured differently so I had to machine one end of the water line to anchor in the aluminum plug. I walnut blasted the old casting to restore the original appearance, and then it was ready to mount to the engine. into the inner part of the intake so something bad had happened in its previous life. 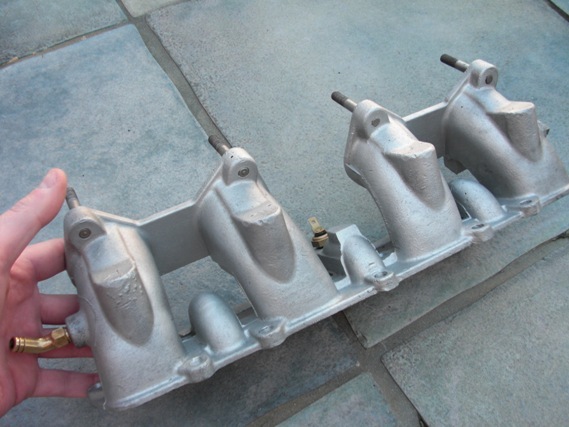 The new inlet manifold, bead blasted, cleaned and ready to mount to the engine. Man....those welds look like an old ladies azz crack. Yes, the engine was probably dropped on the manifold at some point. I almost did the same when it was hanging from the engine hoist so it's easy to do.